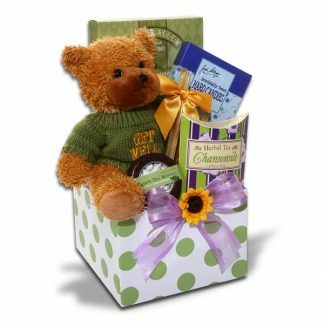 Send that special Angel a gift designed just for them! 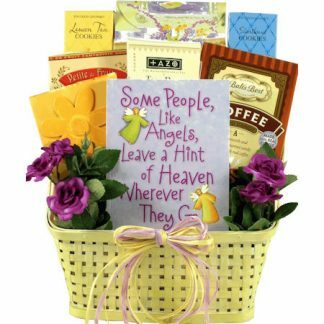 This colorful creation features a beautiful painted basket filled with Lemon Iced Tea Mix, Tazo Duet exotic Tea, Caramel Chocolate and French Vanilla flavored Mocha Mix, gourmet Coffee Hard Candy, assorted Tropical Fruit Candies, Shortbread Cookies, Chocolate Decadence Cookies, Lemon Crisp Cookies and a wonderful and touching gift book titled “Some People, Like Angels, Leave a Hint of Heaven Wherever They Go” filled with quotes, sayings and light-hearted stories. 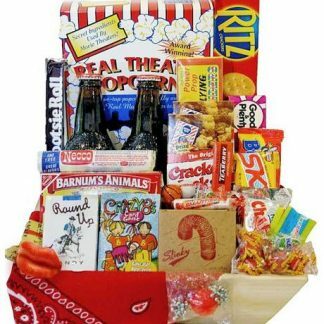 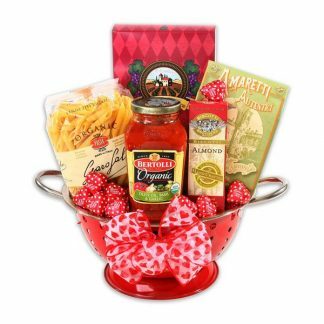 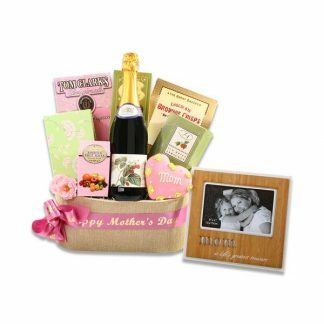 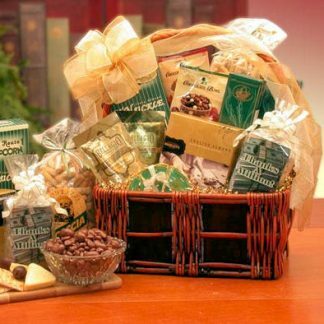 This fantastic gift basket is a great way to show her that you appreciate her!